Fiberglass hat design and sculpting by Wayne Walters with finishing painting by Nick Helton. 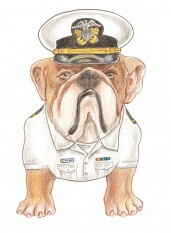 The “Navy Dog” is one of four commissioned bulldog sculptures I’ve painted. The sculptures originally appeared in the Athens, Ga area as a public arts project. 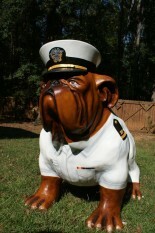 Measuring around 4 1/2 feet tall, the bulldogs are made out of fiberglass and produced by Cowpainters http://www.cowpainters.com/ This particular project was commissioned by the U.S. Navy Supply School located in Athens, Ga. I came up with the design based on the client’s specifications to represent a bulldog in a Navy uniform. 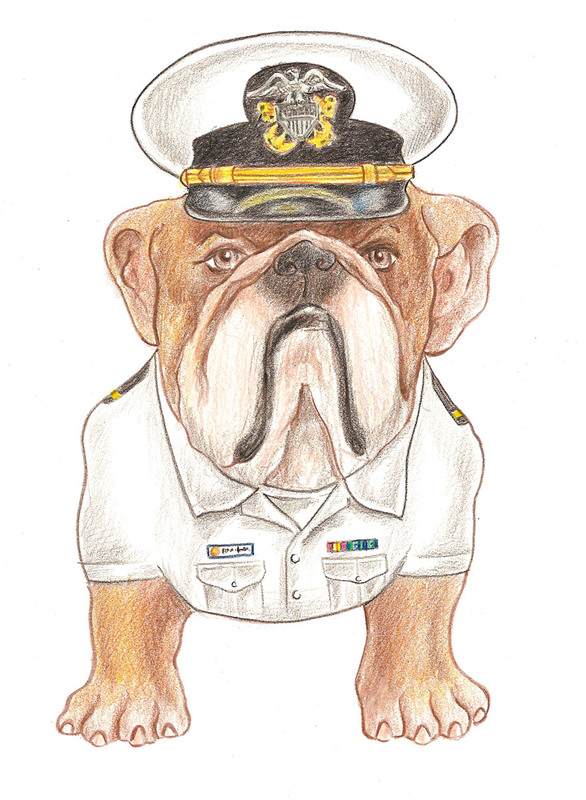 Once the design was approved, my collaborator Wayne Walters created the design for the uniform hat or “cover”. After Wayne sculpted the hat using fiberglass and bondo, we painted the detail elements. 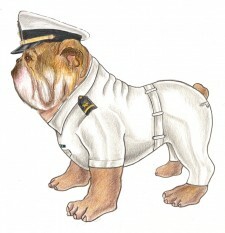 I painted the rest of the uniform on the body using layers of acrylic paint. 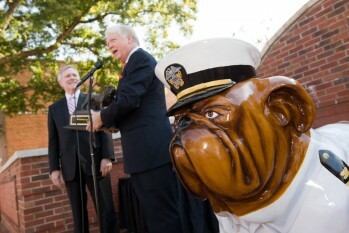 The finished bulldog was coated with polyurethane and presented during a transfer ceremony which was attended by Georgia Govenor Sonny Perdue, UGA President Michael Adams, and Secretary of the Navy Ray Mabus. 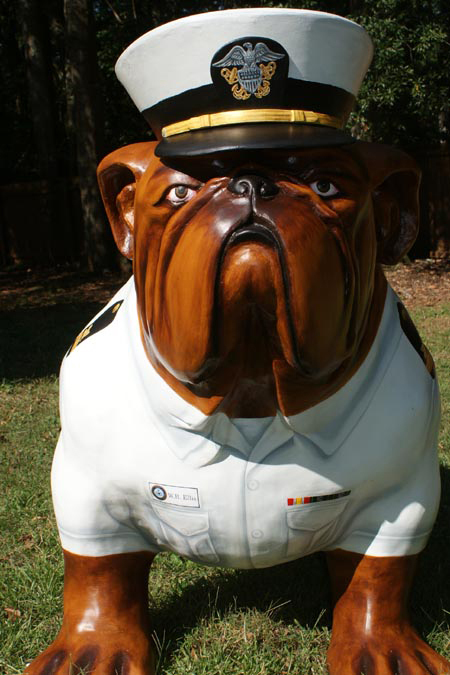 The “Navy Dog” is currently on display in the former location of the U.S. Navy Supply School on the campus of the University of Georgia.